France will hold the presidency in March. France and Germany, the Council president in April, will hold a “joint presidency” covering both months. There will be one open debate on combating the financing of terrorism, during which a resolu-tion may be adopted. The Council is expected to carry out a visiting mission to Mali. A briefing on the visiting mission and a ministerial meeting on Mali with the par-ticipation of Malian Prime Minister Soumeylou Boubèye Maïga are scheduled shortly after the delegation returns. Next year, the Netherlands will continue its active participation in the UN peace mission in Mali, the international anti-ISIS coalition and the NATO mission in Afghanistan. The cabinet has agreed to extend all 3 missions, as affirmed in letters which was sent to parliament on Monday. Les premières heures, qui suivent l’accouchement sont considérés comme les plus dangereuses pour la mère et l’enfant. Trop nombreux sont les décès qui surviennent pendant l’accouchement et immédiatement après, principalement à cause de complications de la grossesse. Au Mali et en Afghanistan, nos spécialistes forment des sages-femmes pour qu’elles identifient les risques de façon précoce et prennent en charge l’enfant et sa maman. 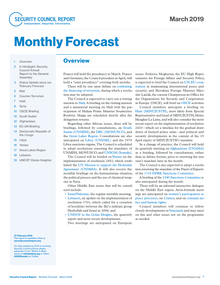 This month’s update highlights children and armed conflict concerns and provides recommendations for the protection of children in the situations of Afghanistan, the Democratic Republic of the Congo, Mali, Somalia and Sudan (Darfur) as well as the Open Debate on sexual violence in conflict. It includes recommendations in particular concerning Myanmar, currently under discussion in the Working Group on Children and Armed Conflict. By decision taken by Minister for International Development Heidi Hautala on 15 March, the Ministry for Foreign Affairs has granted its humanitarian assistance funds for the first part of the year, totalling EUR 39.8 million, to people suffering from the world’s crises. This time, Finland targets humanitarian assistance to Africa, the Middle East and Asia. Earlier this year, EUR 3.5 million was already granted for the acute needs of the Syrian crisis. Yokohama – The United Nations World Food Programme (WFP) welcomed this week the announcement of a US$140.7 million contribution from the Government of Japan. The generous donation will provide vital food and nutritional assistance to millions of people, including refugees, internally-displaced persons, malnourished children, pregnant and breastfeeding women in 16 countries in Africa, Asia, and the Middle East. The funds will also support special logistics operations in three countries. Gros plan sur l'humanitaire en 2012, une année qui a connu son lot de drames et de crises qui ont affectés des populations suite aux conflits armés, aux catastrophes naturelles ou encore au changement climatique. Le Mali, la République démocratique du Congo, la Somalie, le Soudan et le Soudan du Sud, la Syrie, le Pakistan, l'Afghanistan, le Myanmar ou encore Haïti, sont autant de pays qui ont nécessité un appui humanitaire en 2012. Checks and balances. The ICRC in a changing environment. ICRC director of operations Pierre Krähenbühl talks about key operational theatres like Syria and northern Mali and how the ICRC is responding to the changing nature of armed conflict and humanitarian endeavour. Women, peace and security, the rule of law, and the Middle East would be discussed in open debates this month at the Security Council, the Permanent Representative of Guatemala said this afternoon as he introduced the agenda for his October presidency of that body. 1 . A High-Level Meeting on the Sahel took place in New York on 26 September 2012, at the invitation of the Secretary-General of the United Nations, Mr. Ban Ki-moon. Member States of the United Nations and representatives of regional and international organizations participated in the meeting. 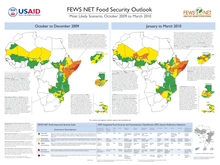 Regional FEWS NET price indices are high as the lean season progresses in West Africa. Ceci est un résumé des déclarations du porte-parole du HCR Melissa Fleming – à qui toute citation peut être attribuée – lors de la conférence de presse du 3 avril 2012 au Palais des Nations à Genève. Le HCR est profondément préoccupé par la détérioration de la situation sécuritaire et politique au Mali, où des milliers de personnes continuent de fuir leurs maisons. (gn) Il y a longtemps que le riz n'est plus exclusivement l'aliment de base du continent asiatique: l'Afrique, qui est en passe de devenir le premier acheteur de riz du monde, en importe actuellement quelque 10 millions de tonnes par an.